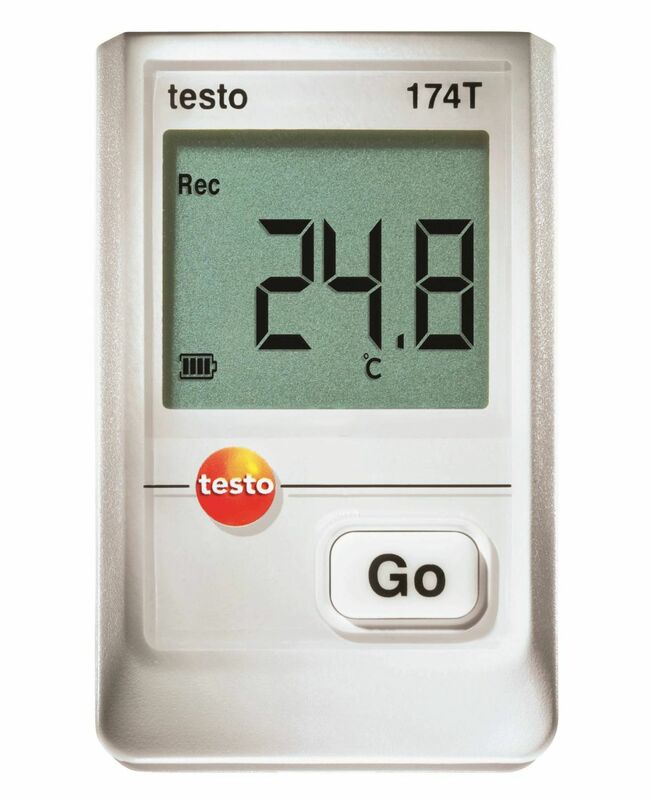 The testo 175 T2 temperature logger has an internal sensor and a connection for an external temperature probe. 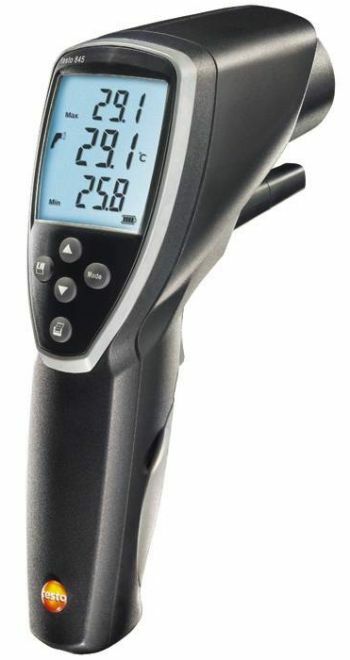 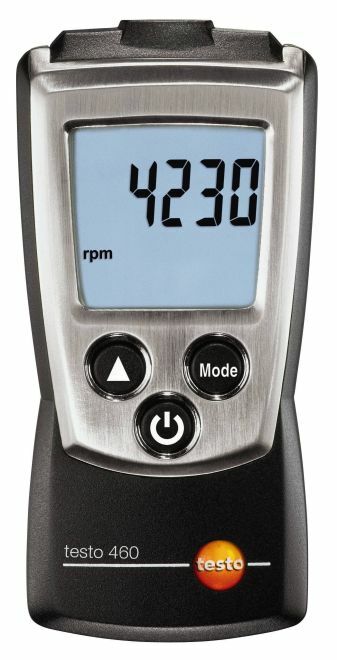 This means it is ideally suited for use when you do not just want to record the indoor air temperature, but also want to carry out another temperature check (e.g. 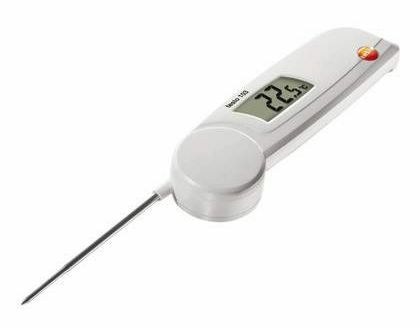 a core temperature spot check). 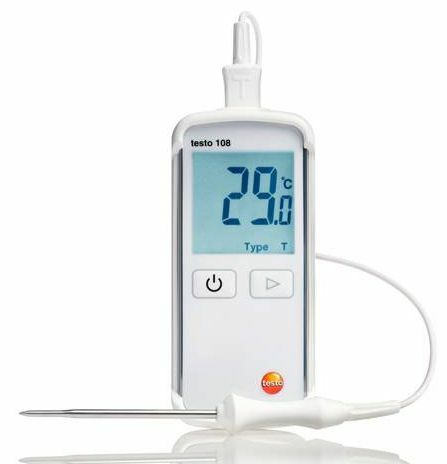 This is practical when storing and processing food, amongst other things: measure the ambient conditions of your goods in storage areas and cold stores and at the same time check the temperature level of the goods themselves – for example with a penetration probe (optional). 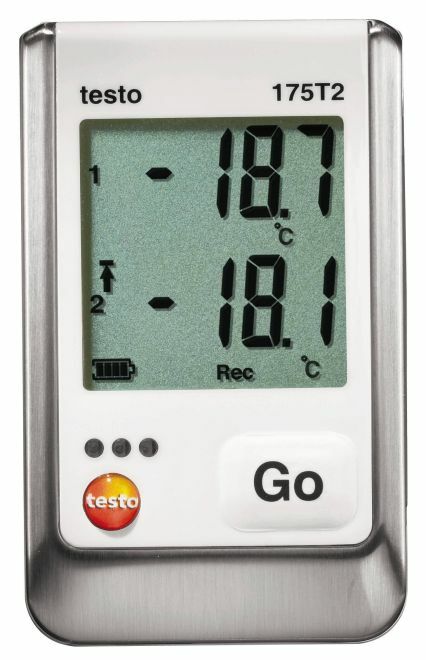 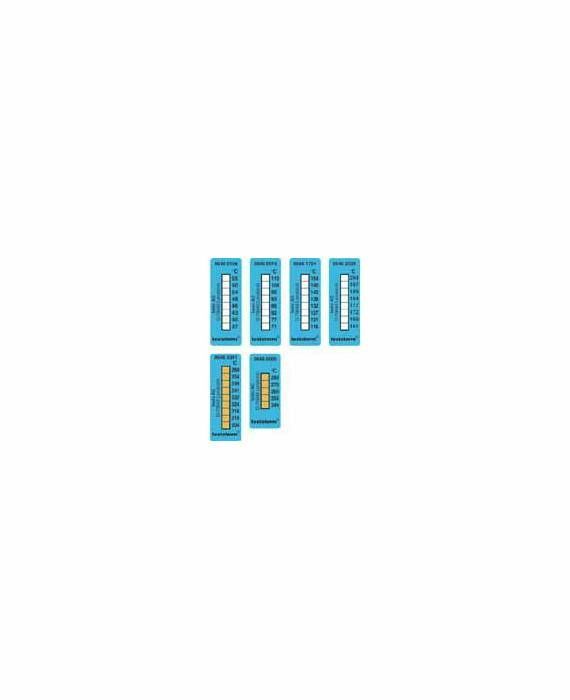 Temperature control in the gaps in the packages is also possible. 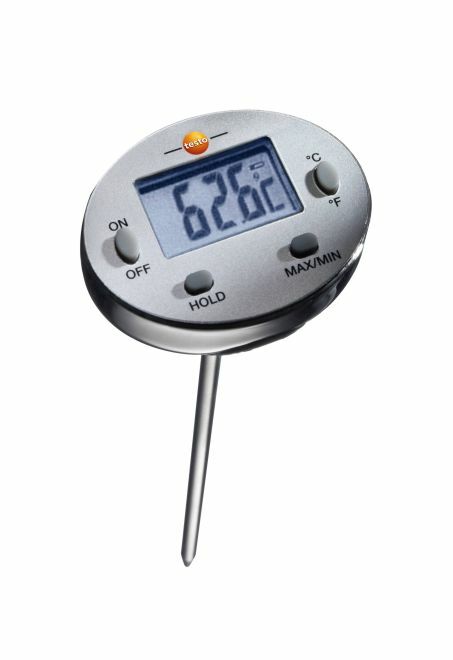 The measurement results from both channels are securely stored in the temperature logger. 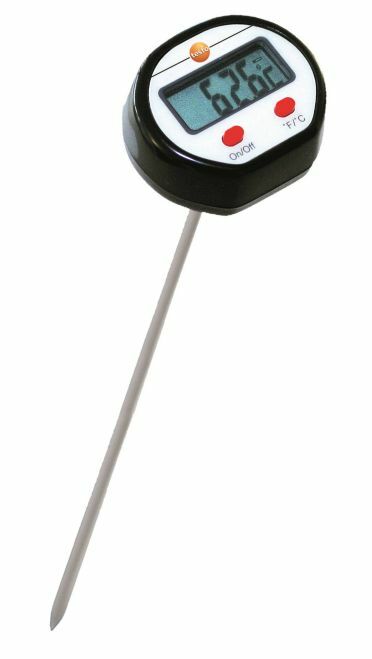 The temperature probe, which is securely fitted into the data logger, is an NTC sensor with a high level of measuring accuracy (±0.5 °C). 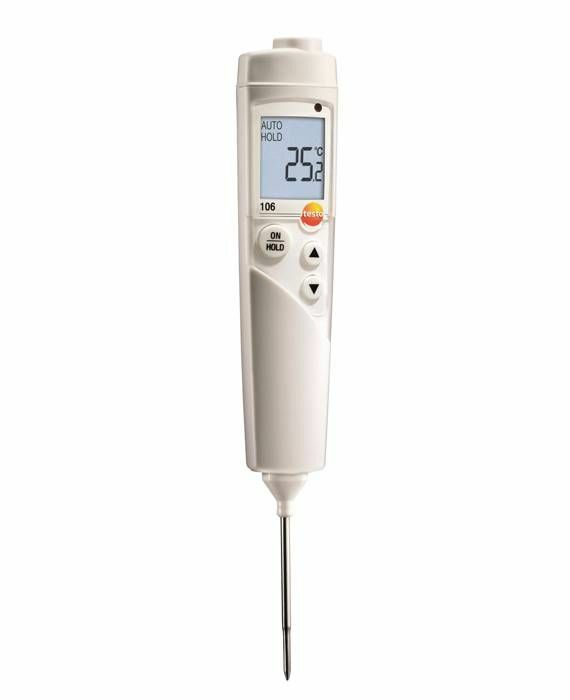 The internal temperature probe’s measuring range goes from -35 °C to +55 °C. 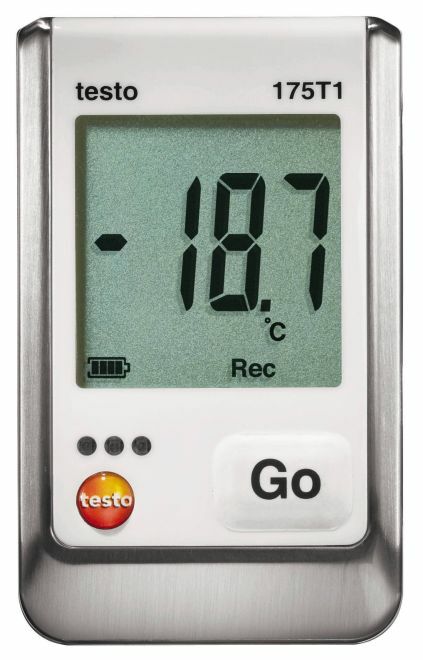 This means the temperature data logger can also be easily used in cold stores or deep-freeze rooms. 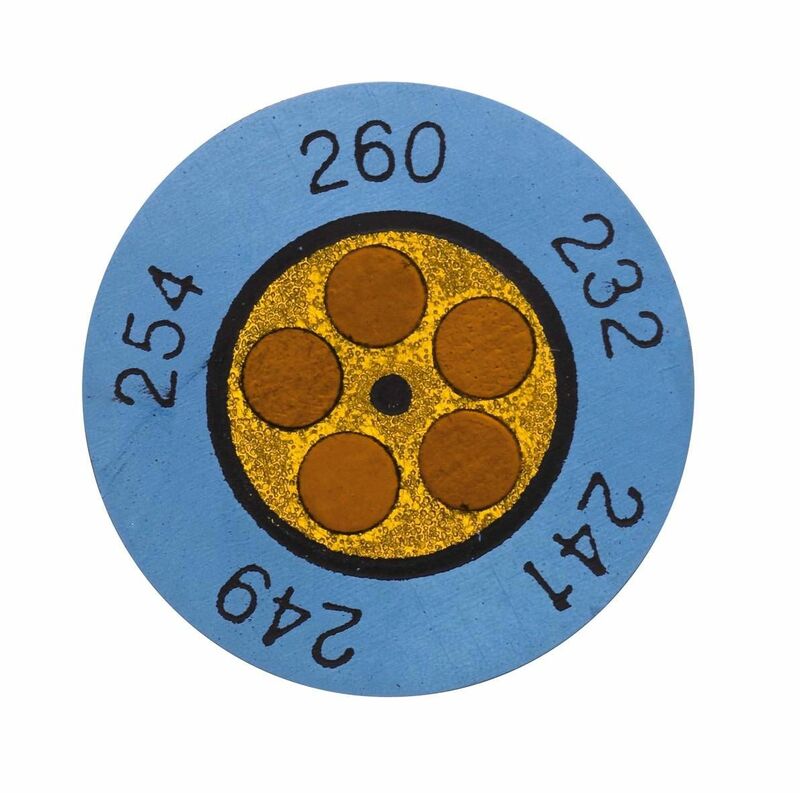 The accuracy and measuring range of the NTC probe, which is an optional attachment, depend on the probe model selected. 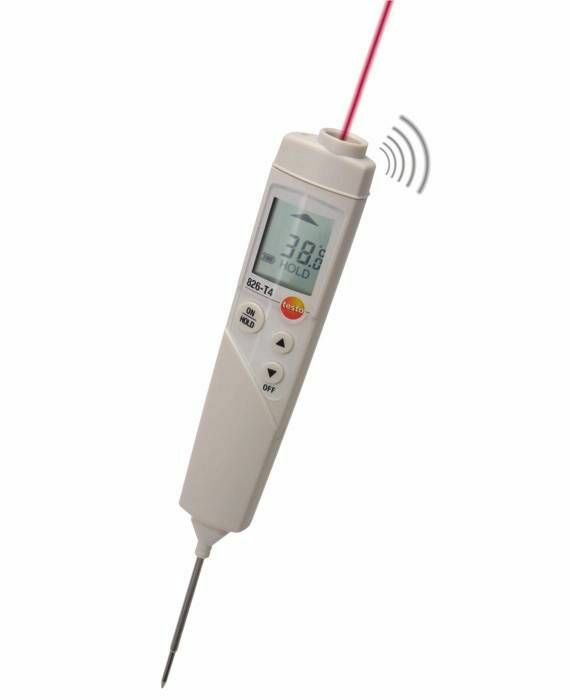 For example, measurements in higher temperature ranges (upto +120 °C) are also possible with the appropriate temperature probe. 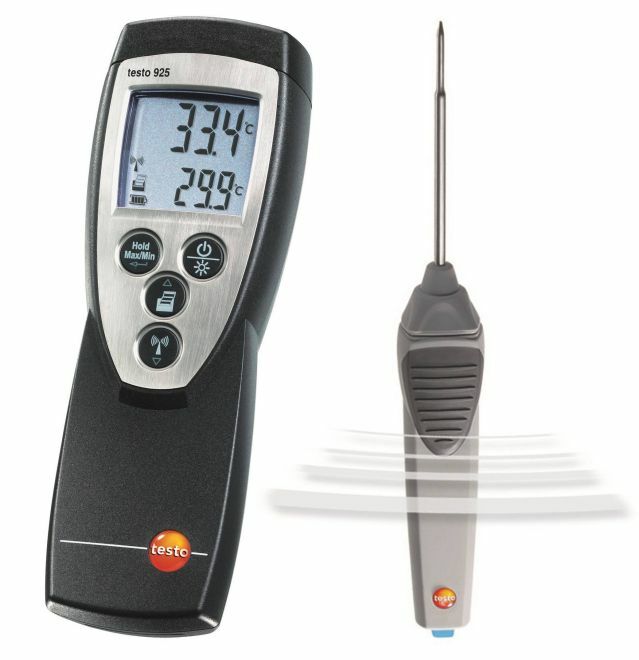 You can read the current measuring values, min./max. 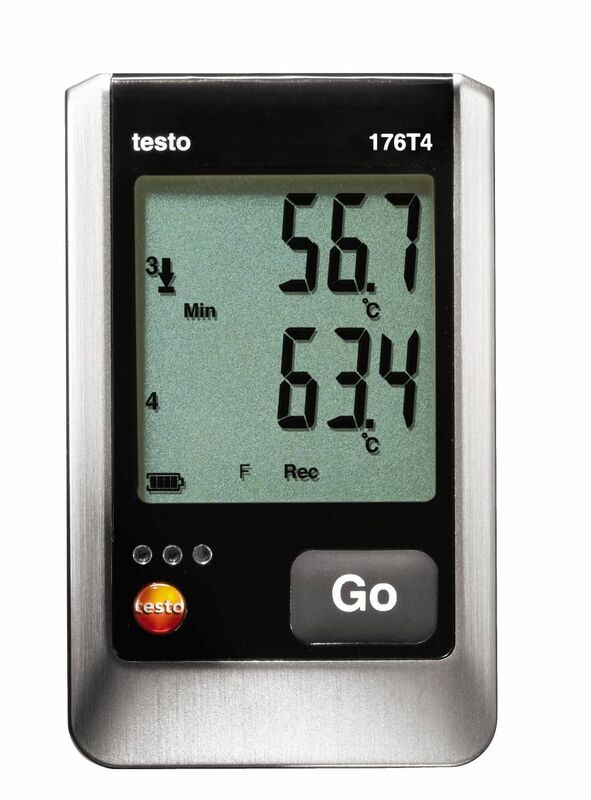 values, set limit values, violations of limit values and remaining battery life on the temperature logger’s clear display. 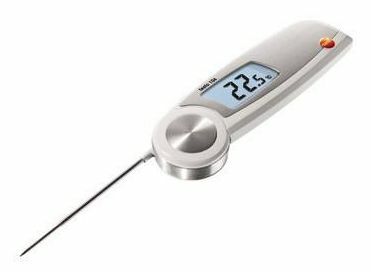 This means you can check the most important data at any time, without having to read out the temperature logger on the PC. 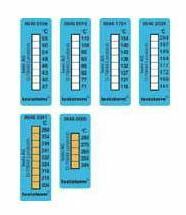 Less frequent read-out of the data logger is also required for shorter measuring cycles. 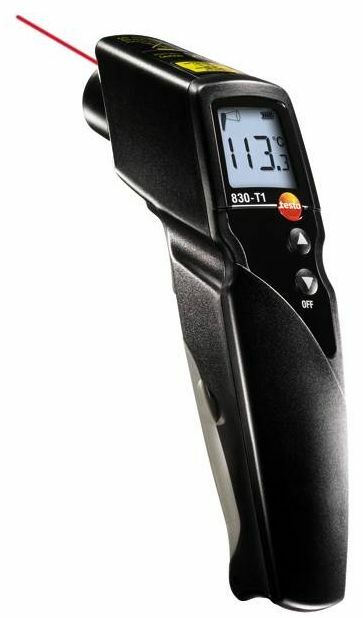 This is due to its large memory for up to 1 million readings and the battery life of up to 3 years. 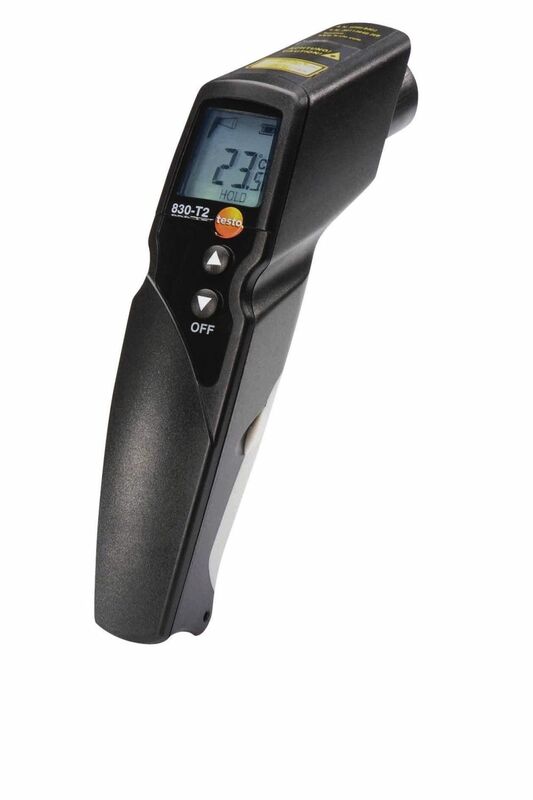 Users can replace the standard batteries (AAA) themselves at any time. 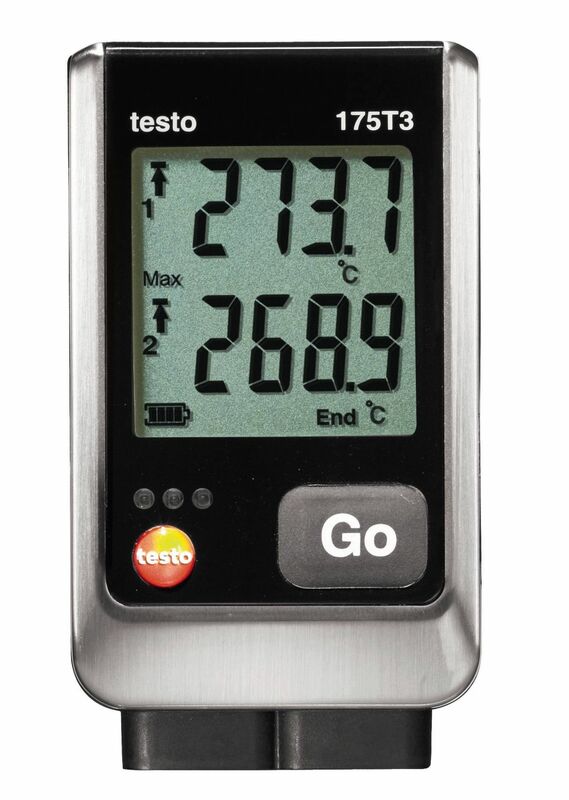 You can rely on a high level of data security when using the testo 175 T2 temperature logger. 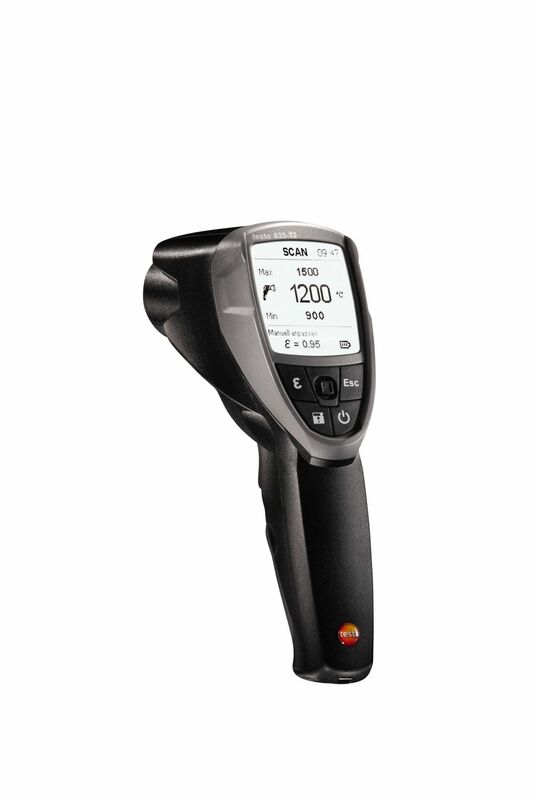 Saved measurement data will not be lost even when the battery is empty or being replaced. 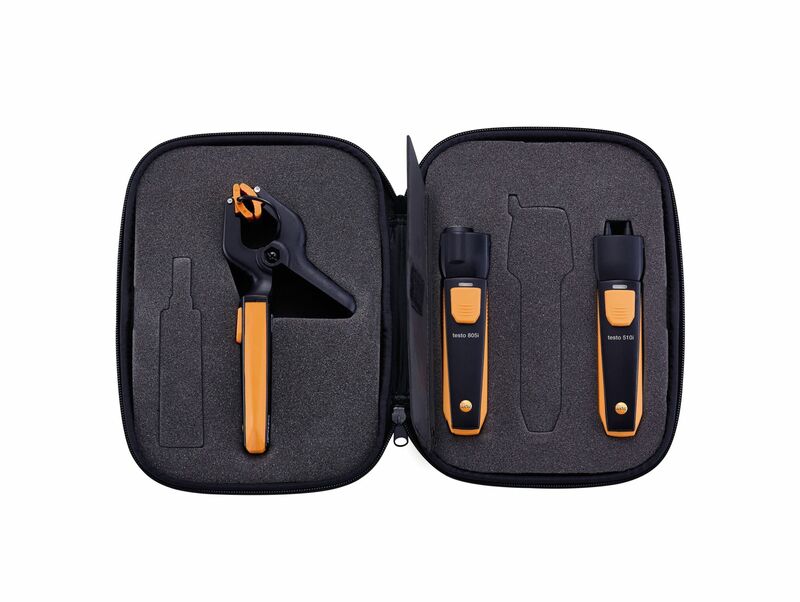 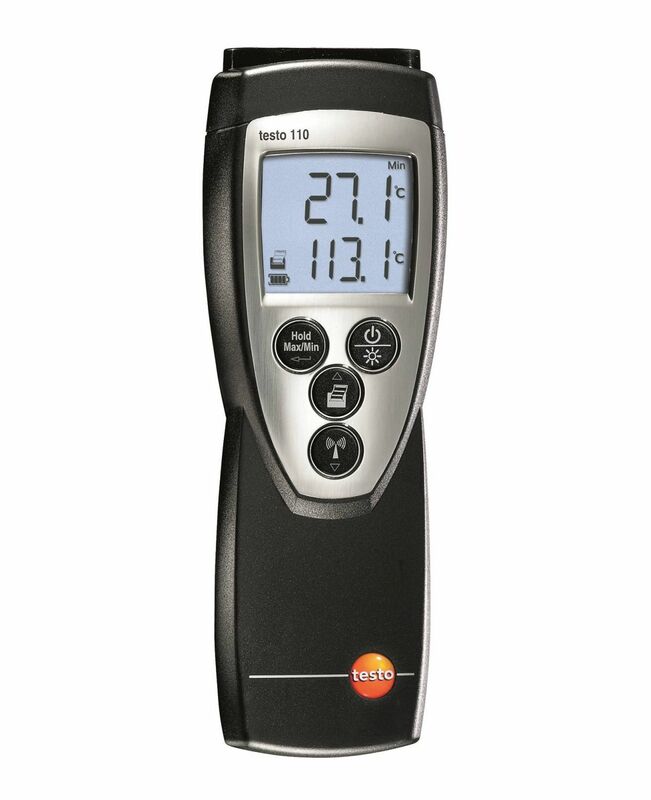 Testo 175 T2 temperature logger with internal temperature probe (NTC) and external sensor connection (for NTC probe), including wall bracket, lock, batteries and calibration protocol.